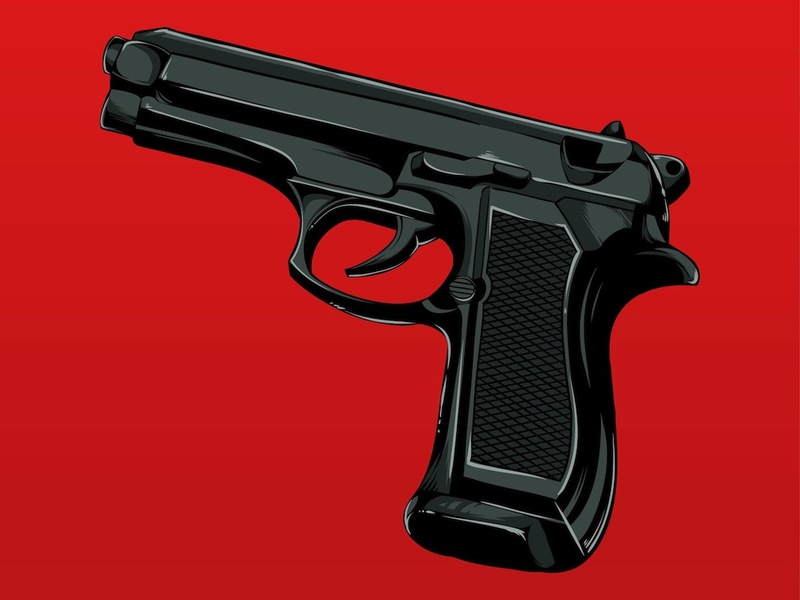 Detailed vector handgun illustrated in a comic book visual style. Many dark shades used to recreate the colors of the gun, subtle lighter spots for the shines on the metal surface. Free vector illustration for all firearms, weapons, weaponry, self-defense, crime, criminals, murders and assassinations projects. Tags: Comic Book, Criminals, Firearm, Handgun, Shooting, Weapon.